Dorset Fine Arts has been producing an annual calendar since the early 1970's and distributes to galleries around the world. 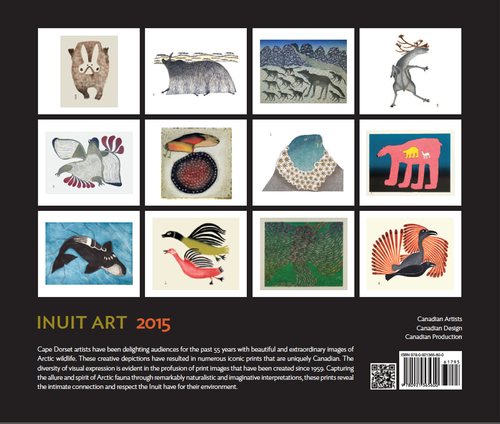 Cape Dorset, a small hamlet of about 1200 people in the high Arctic is one of Canada’s most successful and prolific art communities. 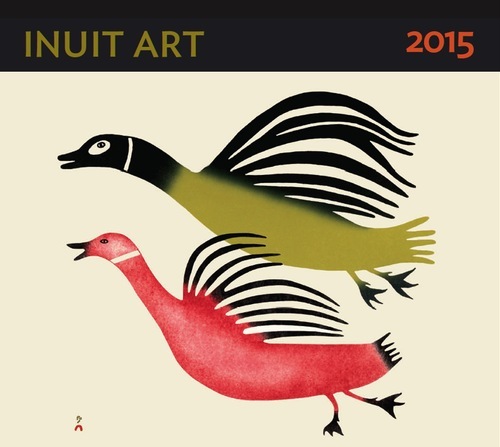 Every year for the past 59 years the West Baffin Eskimo Co-operative has released to the public its collection of fine art limited edition prints. The annual unveiling of new stonecuts, etchings and lithographs is anticipated by serious collectors and avid enthusiasts all over the world. 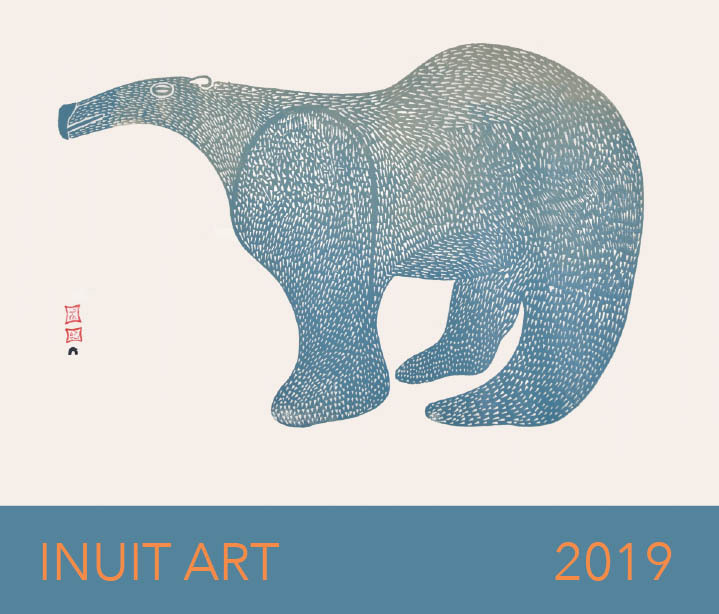 Another perennial event that many people eagerly look forward to is the launch of the Cape Dorset Inuit Art calendar, where each year highlights 12 outstanding prints from previous years. 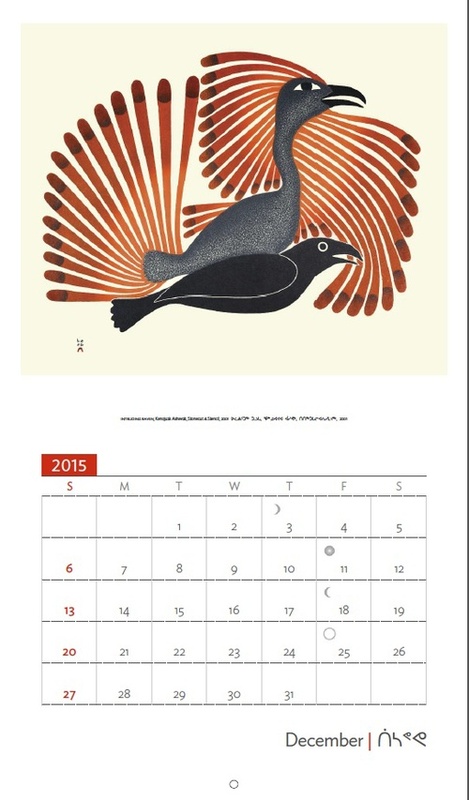 The 2016 Cape Dorset Inuit Art calendar is now available from Dorset Fine Arts. 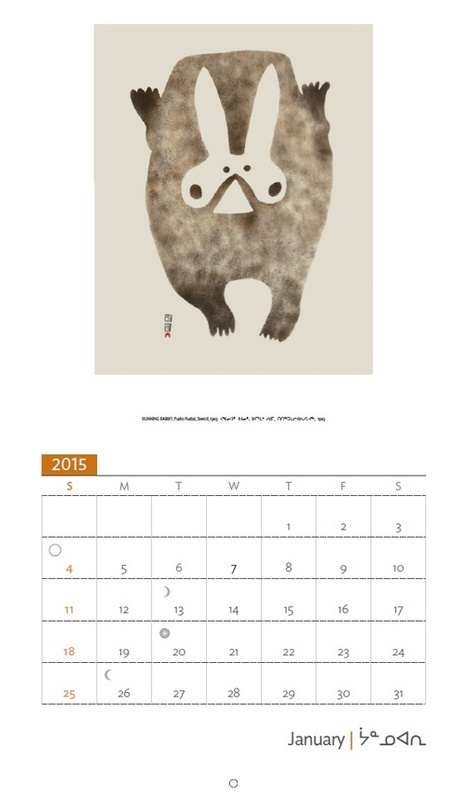 This year's calendar is dedicated to the theme of ' Oopik', the Snowy Owl whose yearlong presence in the Arctic has been an inspiration for Cape Dorset artists for generations. 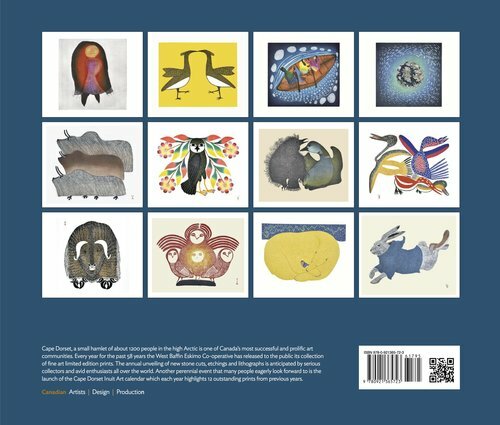 Cape Dorset artists have been delighting audiences for the past 55 years with beautiful and extraordinary images of Arctic wildlife. These creative depictions have resulted in numerous iconic prints that are uniquely Canadian. The diversity of visual expression is evident in the profusion of print images that have been created since 1959. 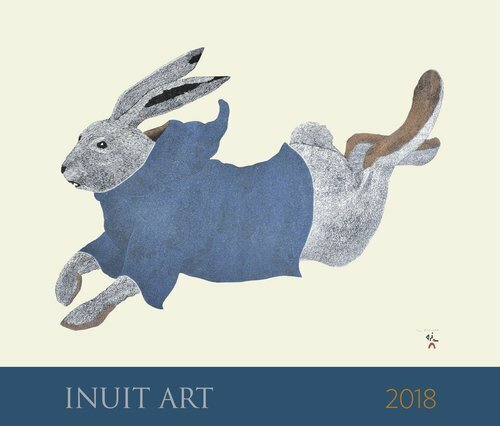 Capturing the allure and spirit of Arctic fauna through remarkably naturalistic and imaginative interpretations, these prints reveal the intimate connection and respect the Inuit have for their environment.